I'm so excited about the book we're checking out today on MBB. It's called The Secrets of Mindful Beauty by Dr Elizabeth Reid Boyd and Dr Jessica Moncrieff-Boyd. I don't mind admitting that since I'm completing my 55th year in 2018, I'm a little concerned about the process of ageing. This book answers a lot of the questions many women would have about how to maintain their youthful looks and freshness. I'm delighted to be interviewing Dr Elizabeth Reid Boyd, one of the authors of this amazing self-help book. 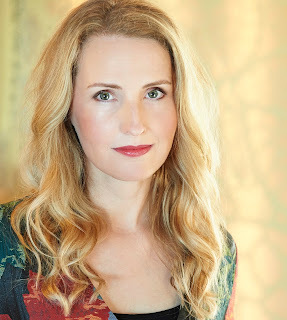 She has already appeared on this blog earlier as author Eliza Redgold. She is a multi-faceted personality for certain.And it has to be said that she also looks like a wonderful advertisement for the self-help book she's written on natural beauty. Dr Elizabeth Reid Boyd has degrees in psychology and gender studies. She has taught interpersonal, communication, and personal development skills including meditation, self-awareness, self-care and mindfulness at the university level for almost two decades. She writes fiction as Eliza Redgold. Can you give us a brief summary of the Mindfulness philosophy along with a tiny history of its present popularity? Mindfulness is a hugely popular concept today. It’s a practice and strategy that initially developed from Buddhist and meditation traditions. It has recently received attention in psychological fields and has been found to be a successful way of managing anxiety, stress and even depression. Mindfulness can create improvement in our minds and bodies. Mindful Beauty is an exciting method of applying the practices of mindfulness to our overall health and well-being. The unique mindfulness techniques in The Secrets of Mindful Beauty offer a brand new way to bring the benefits of mindfulness into beauty and self-care. Mindfulness can be used to reduce stress and enhance the beauty and in our easy-to-follow guidebook you can find out how. 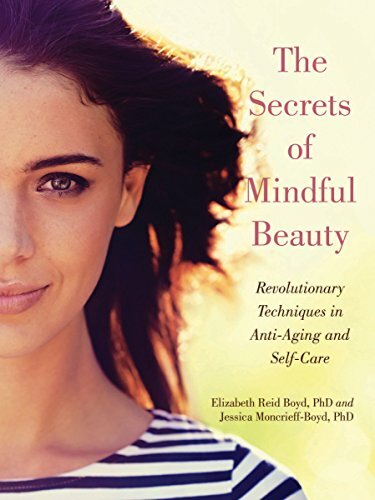 Is yours a mindfulness about beauty or a beauty book about mindfulness? Mindful Beauty is about reclaiming the practices of beauty and self-care, and turning them into experiences that assist us to be present and accepting of ourselves, our bodies and our thoughts and feelings. Too many of our beauty routines can be fraught with anxiety, self-criticism, stress or even self-loathing. There is a way to look and feel better, and that’s where mindfulness comes in. Mindfulness can decrease our self-consciousness, so that we become less worried by what others think – of what we say or do, or how we look. It helps silence the critical voice inside and facilitates the development of self-compassion. Mindfulness doesn’t just ground us; it allows us to see ourselves from a new perspective. Do you think the book could be read and enjoyed by one who is unfamiliar with mindfulness? Mindfulness is about being aware and present in a non-judgemental way. This means our attention remains on what is happening in the moment, and we resist getting caught up in negative thinking patterns. There are a number of ways to tune in to our present experience, and one of these ways is using our senses of sight, smell, sound, touch and taste. Even for those unfamiliar with mindfulness, it’s easy and enjoyable to learn. Is this book all theoretical, or are there practical things to do here too? In The Secrets of Mindful Beauty we describe how beauty and self-care activities such as skincare or applying makeup can be done mindfully, engaging all our senses. In fact, much of what we do already lends itself to mindfulness beautifully! We provide mindfulness exercises for a variety of settings and experiences across the day, turning daily routines into mindful rituals. We also provide soothing meditations (some with eye-masks or facemasks) designed to facilitate acceptance of uncomfortable feelings about our flaws and aspects of ourselves that are the target of our self-criticism. By fostering this attitude, we learn to how to be more aware, and our overall experience of beauty care becomes more self-supportive. This is a short mindfulness exercise that can be done almost anywhere, assuming you have some hand cream handy! Keep some near you at home, at work and in the car. If you are engaged in negative or troubled thoughts, take the hand cream and apply a small amount in the center of one palm. Start by noticing the color of it, and the contrast with your skin. What about the temperature, does it feel cool or warm? Slowly begin to smooth the hand cream into your palm. Notice the sensation it creates in both hands. Smooth the hand cream up along each finger and along the backs of your hands, paying close attention to the sensations. Is the scent of the hand cream reaching you? Do your hands feel smoother, more supple? Are they warmer than before? Try this exercise whenever you want a brief, self-soothing way of engaging with your senses. It’s a great follow up to cleaning and de-cluttering your cosmetics. Use it to break negative thought patterns and as a reminder to be kind to yourself. Will there be more 'mindful beauty' books in the future? Mindful Beauty an idea that’s time has come –we hope there will be lots more books about it. Now read about the book! If you think the answer to anti-aging and looking good comes from a jar, a salon, or a surgical procedure: think again. The best beauty treatment is in your own mind. Discover the secrets of mindful beauty. Lose your permanent frown. Smooth your worried brow without Botox. Turn your sag lines into smile lines. These age-defying techniques have been specially created for a happier, more beautiful you. Mindful beauty is a way of applying the practices of mindfulness to our physical health and well-being. Many of our routines around beauty lend themselves to mindfulness, and this will not only enhance the experience but also have ongoing positive beautifying effects by reducing the stress and anxiety that can affect how we look and feel.